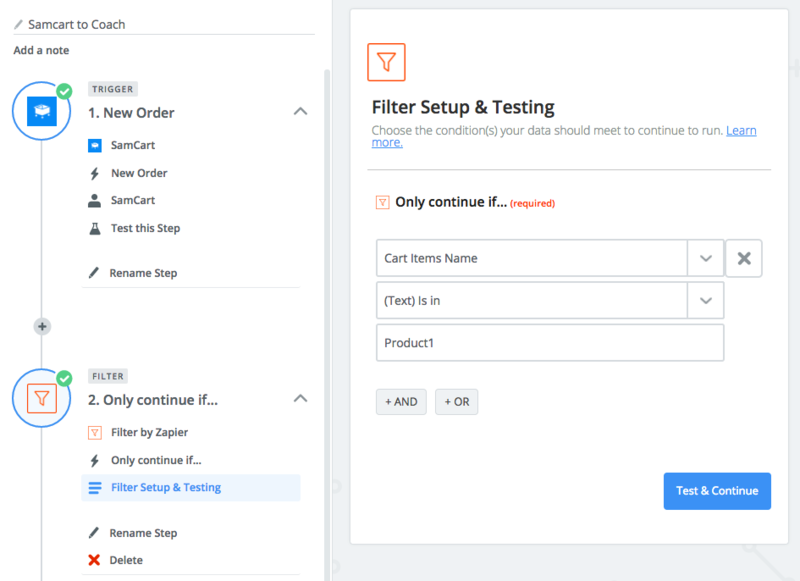 This filter step ensures that we enroll the customer in the Podia product that matches the one they ordered. 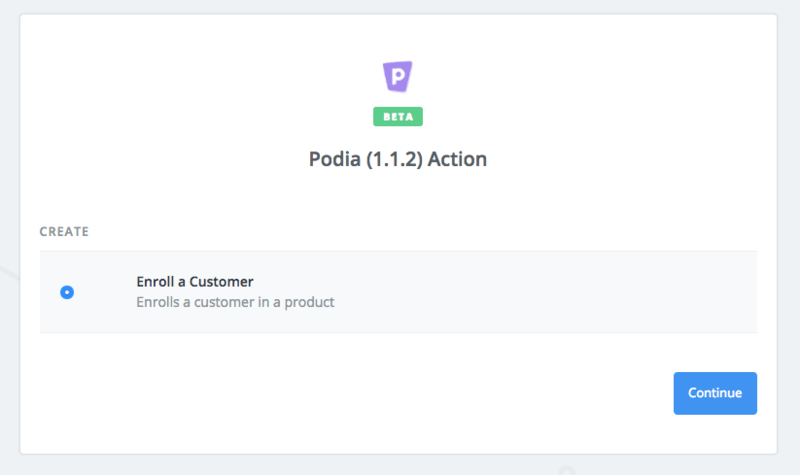 Here we configure which product to enroll the customer in, and tell Podia their name and email address. These variables are coming from the SamCart order event. 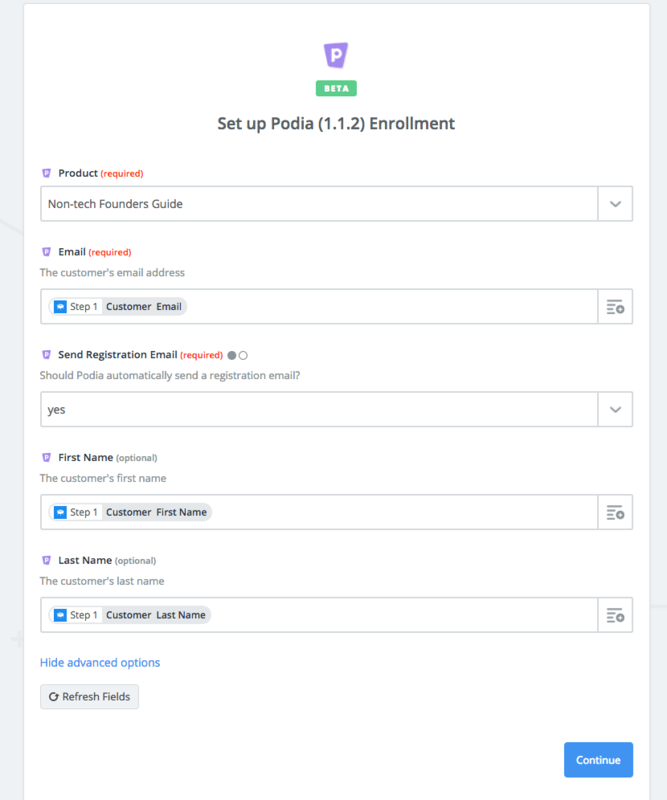 You can also choose whether Podia should send your customer a registration email. This email contains a link where they can setup their account on Podia and access their products. If you choose "No", you must send the email yourself with the registration URL returned by the "enroll" action or your customers won't be able to access their product. 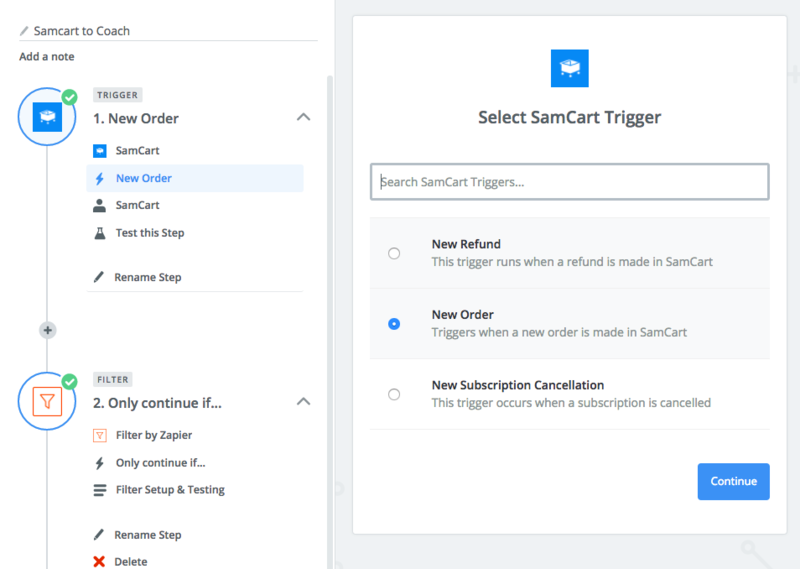 If your checkout process allows a customer to purchase multiple products, you will need to create one Zap for each product. Each Zap would have a different filter step and a different Podia product selected.